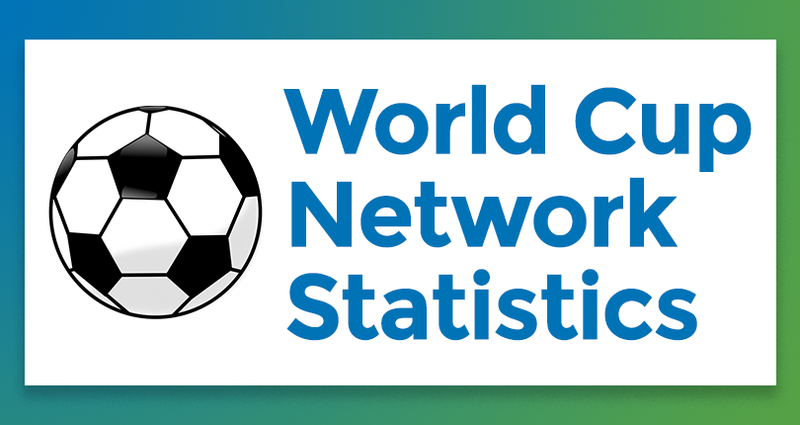 We looked at ExoClick’s network statistics during the World Cup 2018 to see if there were any trends. 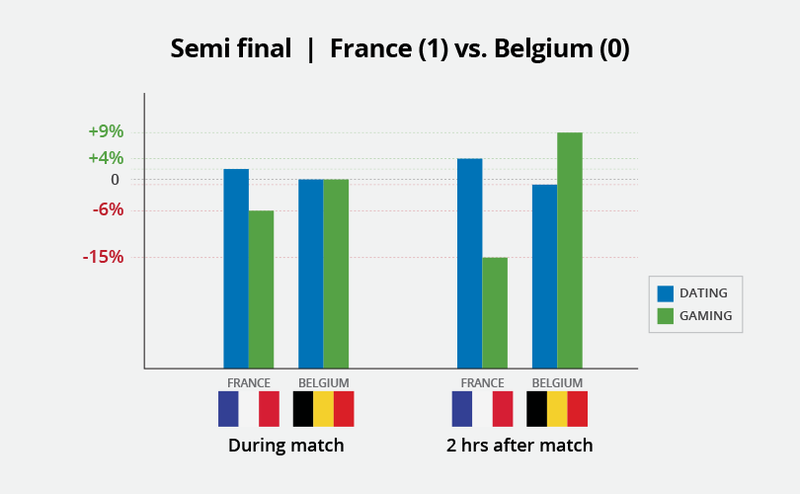 Our Business Intelligence team crunched the numbers for the two semi-final matches between France and Belgium, England and Croatia and the final between France and Croatia. For our base figure we examined traffic for each GEO that was playing 2 hours before the match (represented as 0 in our graphs). Then we compared traffic during each game and 2 hours after each match. As expected all impressions dropped in each teams country during the game. But how quickly did they increase depending if the team won or lost? As you can see, after France won the final they were heavily celebrating so impressions were still below by 31% compared to 2 hours before the match. If we compare this to the semi final game they won, impressions rose to +29% and after Croatia’s win impressions went up 10%. Winners impressions after the game were more or less an even split between desktop and mobile. 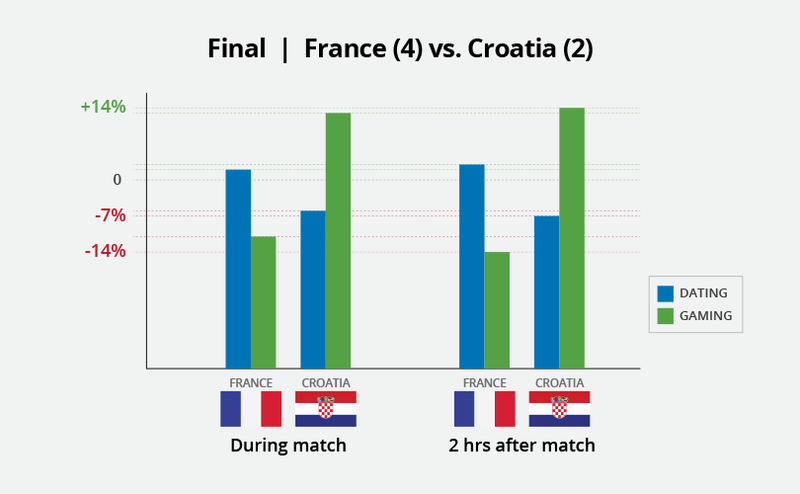 As expected after the final, Croatia was still in shock so Croatian traffic was still down at 19% compared to two hours before the game. 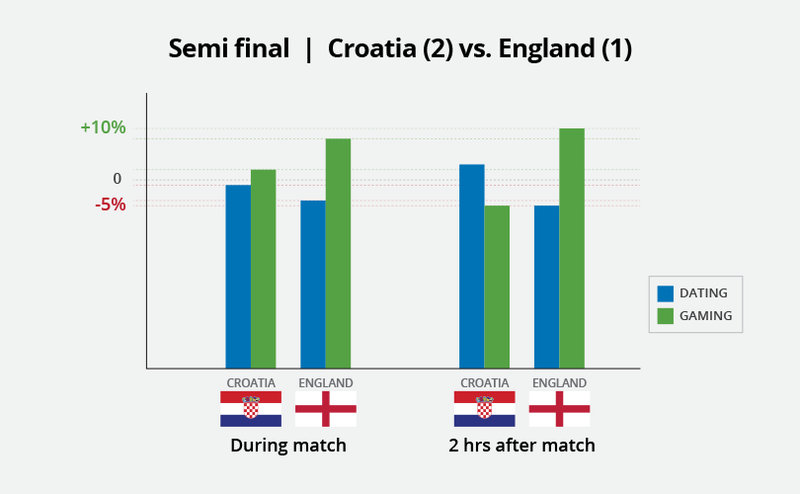 England’s traffic shot up a massive 82% after they lost their semi final match to Croatia, with a desktop and mobile at 49% mobile 51% desktop. And after Belgium lost against France in their semi final impressions were bumped up 42% with 60% on desktop and 34% on mobile. We compared two verticals: Dating versus Gaming across the three games to see which vertical was affected if a team won or lost. We found an pretty incredible trend! If a team won impressions for the Dating vertical went higher, if a team lost the Gaming vertical went higher! 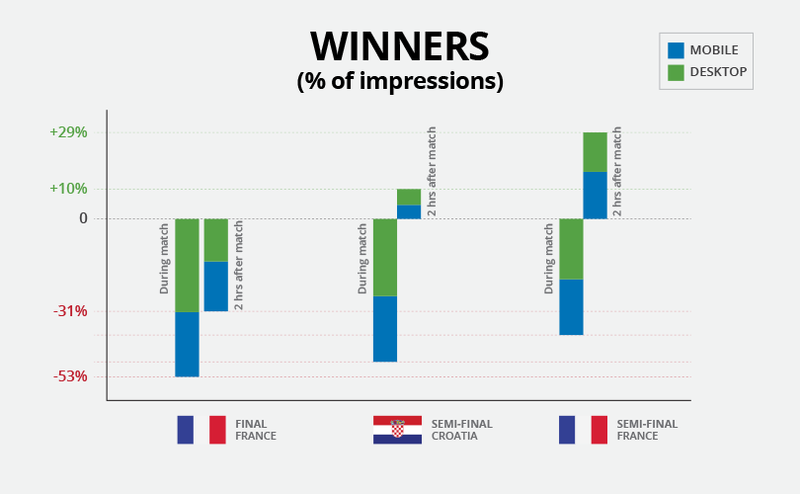 In the semi finals, compared to during the game, winners Croatia saw Dating impressions rise by 4% while Gaming impressions fell by 7%. England saw Gaming impressions rise by 2% compared to a drop in Dating of 1%. 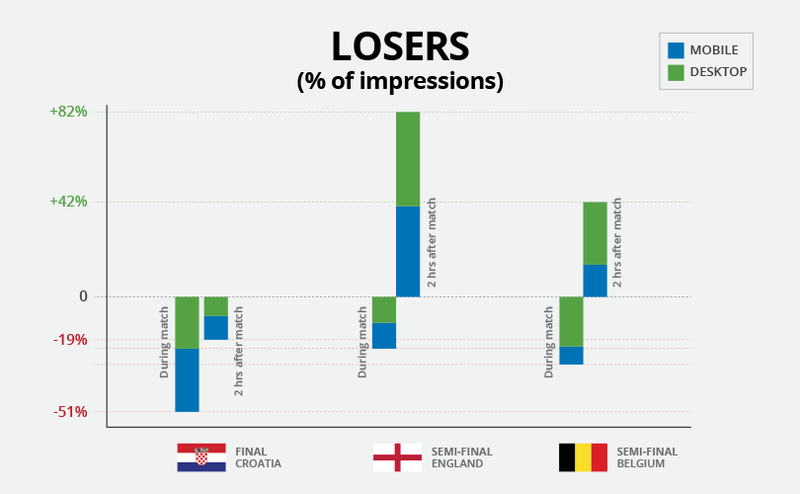 In the second semi final game, winners France saw Dating rise by 2% and Gaming fall by a huge 9% after the game and Belgium had the biggest rise in Gaming after the game at 9% compared to a drop of 1% in Dating impressions. France’s Dating impressions rose by 1% while Gaming impressions dropped by 3% and losers Croatia saw a 1% increase in Gaming and a 1% decrease in Dating. So advertisers, next time there is a sporting event make sure that you target winning teams with Dating offers and losing teams with Gaming offers because it appears winners want to celebrate with love and losers want to commiserate with more Gaming in the hope they do win something!